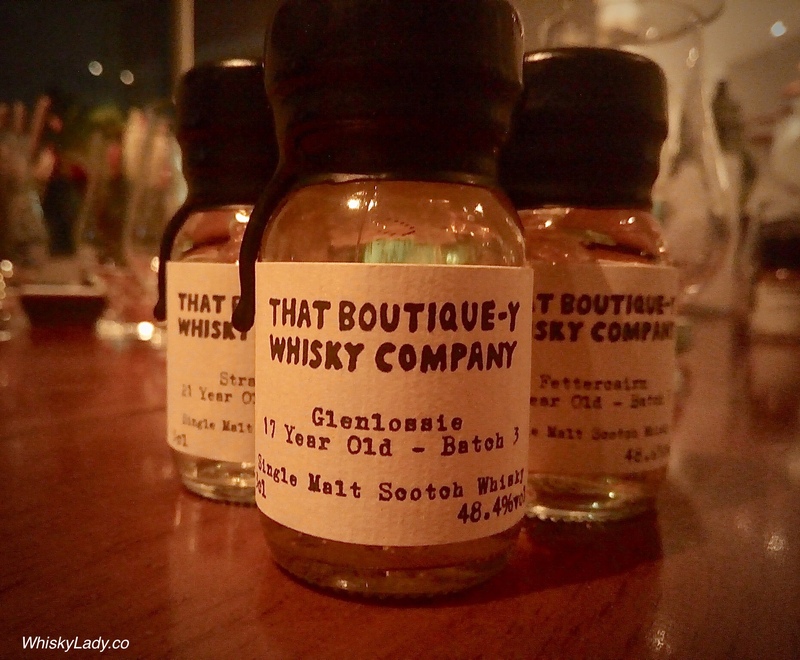 Next up from our samples from That Boutique-y Whisky Co was a sample from Glenlossie… Like the others, part of the Diageo stable and rarely seen outside a blend. Most recently marvelled at the Compass Box Phenomenology – which is 72% Glenlossie. So what did we think of our wee sample? Palate – Mmmm….bannoffee pie, then with the 2nd sip, a black pepper and clove spice… with more time and a return, was there coconut? Licorice? Overall we enjoyed this one… returning after sampling all four whiskies to discover spice, bit of compost, coconut, then more of that baking sweet, spice and light fennel too. Glenlossie is a beautiful distillery in Speyside, with some splendid pagoda roofs and stunning onion-shaped stills. It was founded in the latter half of the 1800s, and since the early 1900s, it has been closely associated with Haig’s blended whisky – you know, the ones with the cool-shaped bottled, the one that was on that TV show about the science teacher and his foray into… Well, yeah. Anyway, Glenlossie. Onion-shaped stills. What we did was we made it look like the still on the label is actually made of an onion, and has a spring onion line arm and garlic-bulb condenser. We like similes and metaphors. Depending on where you acquire it (if still available), a 50 cl bottle would set you back approximately £69.